The customer is an industry leader in distribution and wholesale for the Automotive, Maintenance and Accessories and Retail sectors operating across the UK had a requirement to extend its national distribution centre to accommodate an increasing workload due to their success. Supply a semi-automated conveyor system for products of all sizes, shapes and weights which are picked from storage on either one of three floors and are required to be delivered to the ground floor packing and despatch area. L.A.C. Conveyors & Automation devised a plan that utilised their range of powered lineshaft roller conveyors and decline grip face belt conveyors. Picked items are placed onto a decline belt conveyor using a grip face belt thus ensuring that the products don’t move during transport. Items are loaded automatically onto the belt conveyor system via an automated induction point when spaces for product could be moved onto the line. 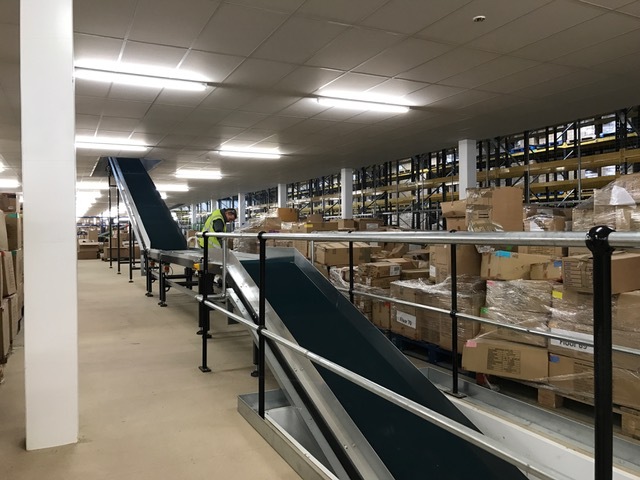 When the items have reached the ground floor they are transferred onto lineshaft powered roller conveyors for onward movement to the despatch area for final loading into delivery cages. 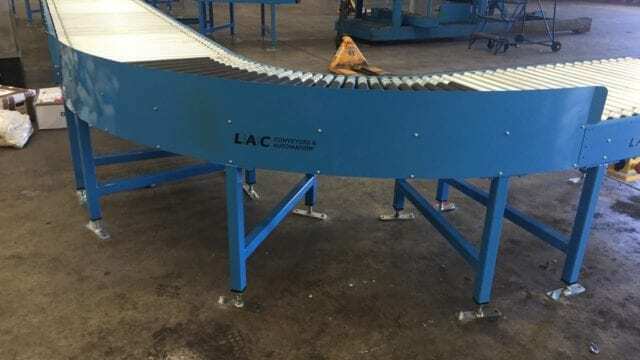 One of the great benefits of powered lineshaft roller conveyors is that they are a cost-effective solution where there is a basic requirement to move products simply from “a” to “b”. The systems comprised 100 metres of roller conveyor and 12.5 metres of decline belt conveyor. Please contact us for further information on this system or any other requirements.